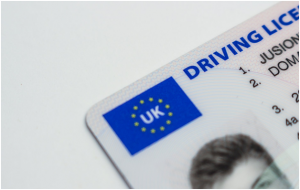 If you own a car, you are legally required to have a driving license. 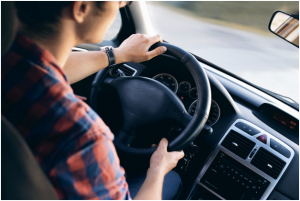 This may seem simple, but there are different driving license codes for different vehicles – and it is imperative to make sure that you have the right code for your car. For instance, some driving license codes are affected by when you first started to drive, while other driving license codes allow you to add a trailer to your car. This can be quite confusing, but don’t worry – we are here to help clear a few things up. After all, it is very important to make sure that you are driving a car with the right license code. If not, your license could be taken away, and you may also have to pay a hefty fine. This is due to The Road Traffic Act 1988, which requires every driver to have a license, whether they are driving a private or professional vehicle. Here are some of the most common driving license codes, so you can make sure that your car is road legal. This category covers cars (and additional trailers) that have a maximum weight of 8,250kg. Minibuses with trailers (that weigh more than 750kg) are also covered under this category. This covers cars that have up to nine seats (including eight passenger seats) with a total weight of 3,500kg. It is also possible to add a trailer that weighs up to 750kg. Are you wondering where you can find a motor trade insurance quote online? If so, you can find out more about motor trade insurance here. This is similar to the standard Category B, but it only covers cars with an automatic transmission, rather than a manual transmission. If you passed your test before 19th January 2013, you can tow a car with any sized trailer. This is ideal for professional vehicles. If you are still unsure about which category you fit into, you can find out more about these codes on the official Gov.uk website. This offers much more information about licence codes, including codes for motorbikes, as well as cars.